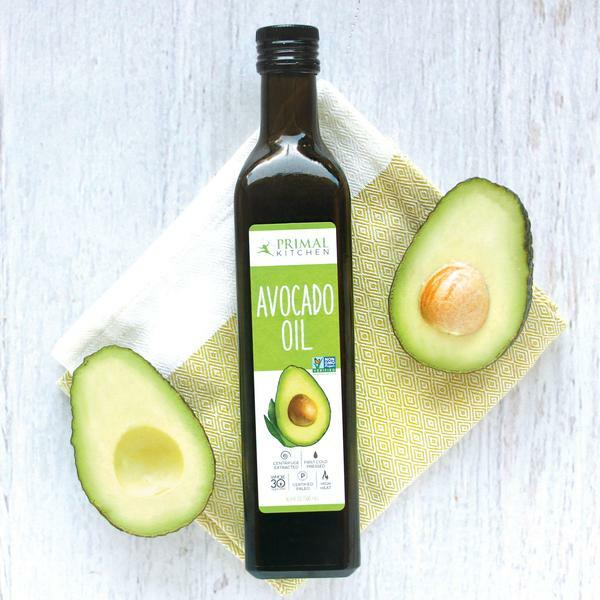 Boasting high levels monounsaturated fatty acids (the healthy fats), avocado oil helps to reduce harmful levels of inflammation in the body and helps reduce cholesterol, it also protects cholesterol, which is far more important. Use avocado oil in place of olive or canola oil when cooking. 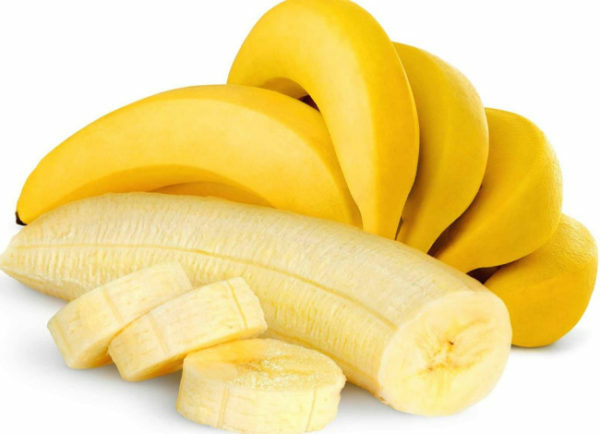 Bananas may be one of the best foods for energy. 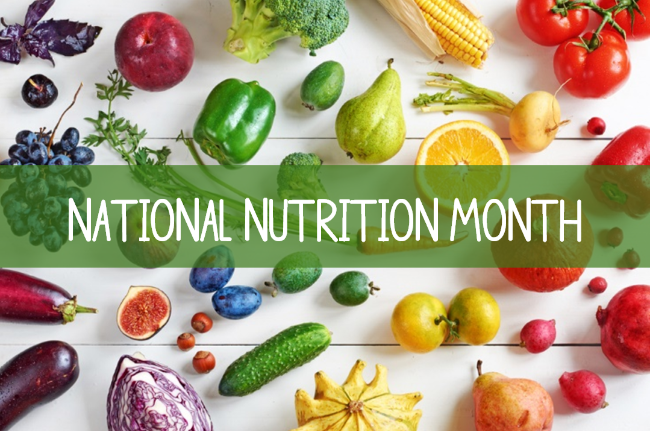 They are an excellent source of carbohydrates, potassium and vitamin B6, all of which can help boost energy levels in your body and sustain you through daily slumps. 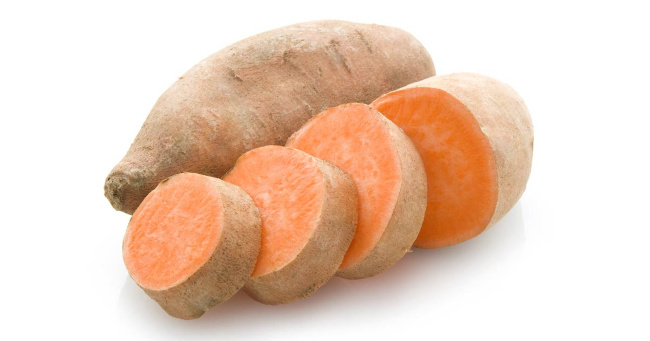 Sweet potatoes are a nutritious source of fiber and vitamins for those looking for an extra boost. They also include 3.8 grams of fiber and ton of vitamin A. Just swap out white potatoes for the much healthier sweet potatoes. 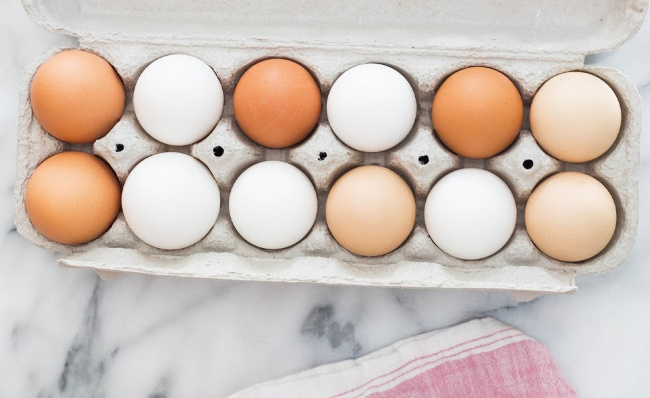 Eggs are packed with protein, which can give you a steady and sustained source of energy because it does not cause spikes in blood sugar and insulin when it is digested. Eggs are also abundant in amino acids and vitamin B.
Oats are rich in vitamins and minerals that help the energy production process. These include B vitamins, iron and manganese. 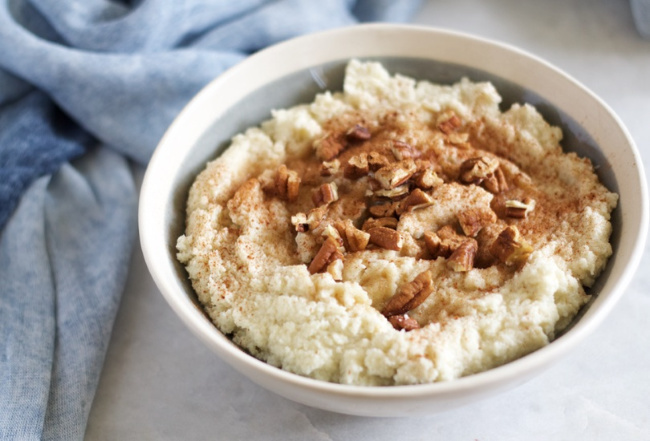 Oatmeal is also high in fiber which keeps you feeling full longer. Toss in some nuts and berries to add even more nutritional value. 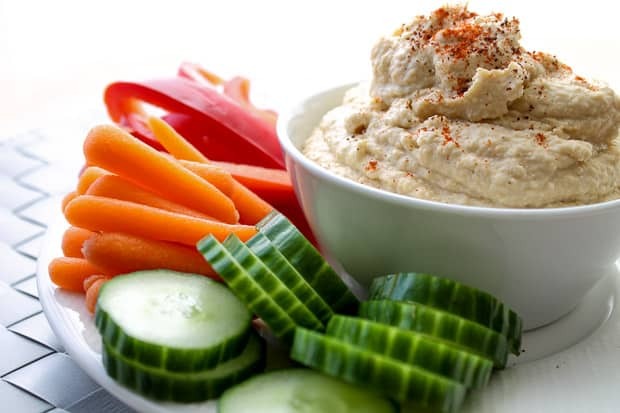 When you’re busy and in a hurry, hummus and veggies make the perfect fast lunch or snack. Hummus is made with chickpeas, sesame seed paste, oil and lemon. The combination of these ingredients makes hummus a good source of energy packed with healthy fats. The go perfectly with celery, carrots and cucumber slices. 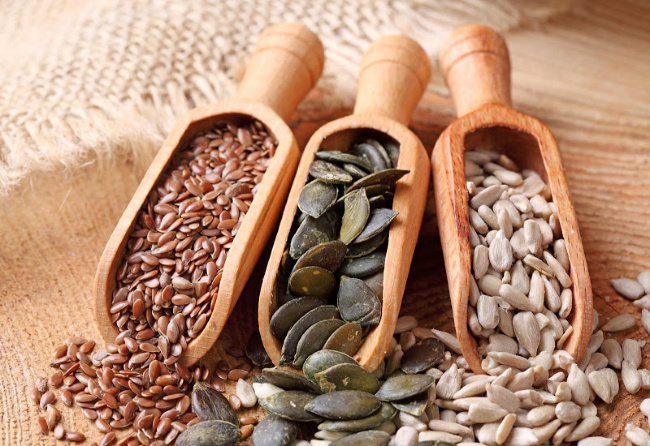 Seeds, such as chia seeds, flaxseeds and pumpkin seeds, are high in plant-based omega-3 fatty acids. 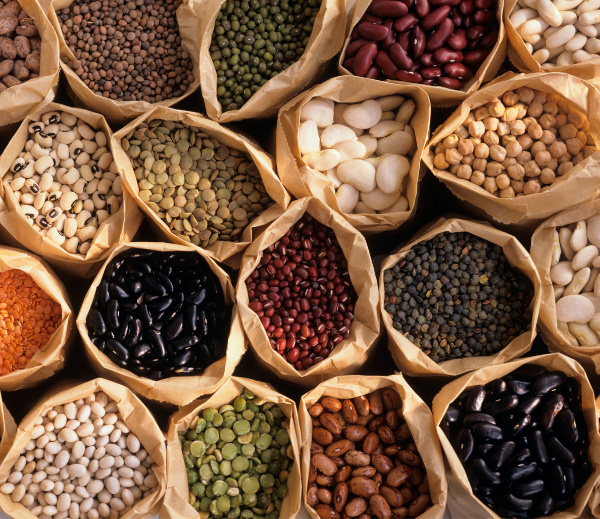 Seeds are also a good source of fiber and protein. 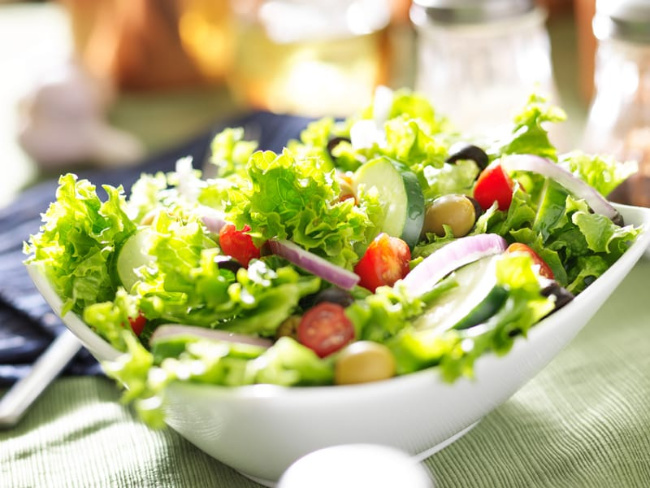 Leafy green vegetables, such as spinach and kale, are excellent sources of nutrients that are high in iron, calcium, magnesium, potassium and vitamins A, C, E and K. Additionally, they are packed with folic acid, fiber and antioxidants that provide so many important health benefits. Make up a few salads ahead of time for the week, grab one and go for an easy, healthy lunch. Beans are an amazing way to help boost your plant- based protein and fiber intake for the day plus many beans include heart-healthy omega-3 fatty acids. Toss beans into rice and pastas, casseroles, soups and stews and Mexican dishes like enchiladas, tacos and salsa. 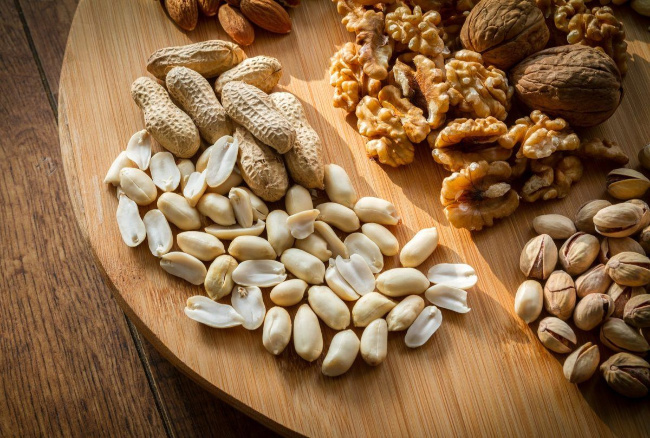 Nuts have gotten a bad rap over the years but in all actuality, nuts are super healthy for you and a simple way to get loads of good fats and vitamins daily. Plant omega-3s, selenium, vitamin E, magnesium, folic acid and protein. Unfortunately, many of us are only able to absorb about 10% of our daily iron needs from our diet, but are hesitant to take an iron supplement (iron sulfate) due to the unpleasant side effects such as nausea, upset stomach, constipation and more. 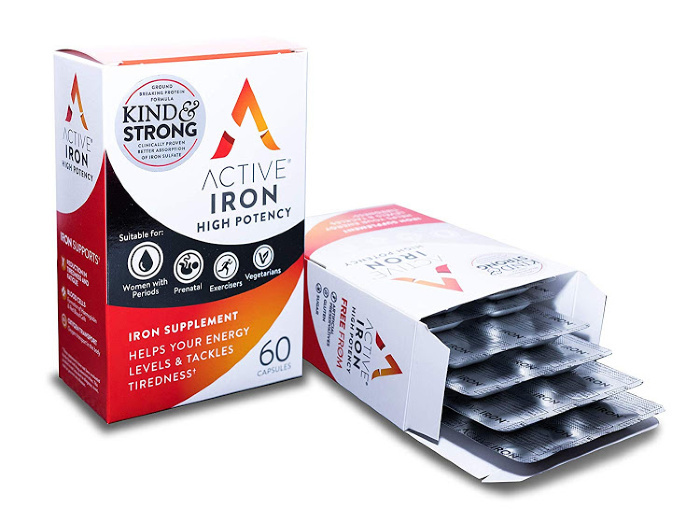 Check out Active Iron, new to the U.S., it offers twice the absorption of standard iron sulfate, but is so gentle it can even be taken on an empty stomach. It’s gluten free and sugar free, and contains 138% of daily iron needs, the equivalent of 17 cups of spinach in one capsule. Iron plays an important role in oxygen transport, cognitive function and immune function. It also helps your energy levels! Mindless eating often results in unhealthy eating, filled with empty calories that leave you still hungry and dissatisfied. We recognize time constraints are often the cause but instead of checking emails through breakfast, working through lunch and focusing on how quickly you can scarf down your dinner so you can get your child to soccer, be intentional and present when you are eating. Allow yourself to taste and enjoy the meal so that you feel full and satisfied and aren’t reaching for a bag of chips 30 minutes later. This is a great list. I’m actually already eating most of these foods! I try to be pretty careful with my nutrition. Fortunately, my husband and I always have a nice garden each year, and can sustain us through till the next growing/harvest season. When we do buy fresh produce from the store, I’m always amazed how pricey it is. – It’s sad, really. I see why a lot of people don’t, or can’t eat as healthy as they’d like because of the expense.